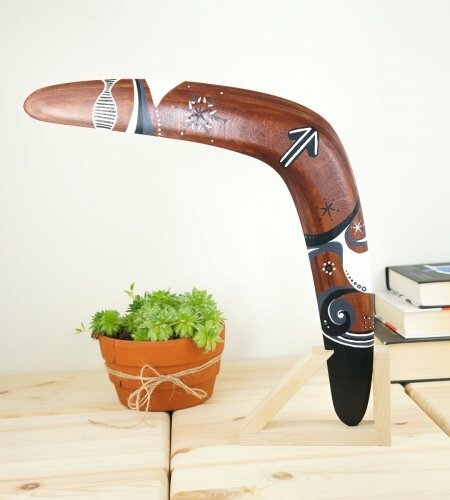 Hand made wooden boomerang. Throw it & it Returns!! 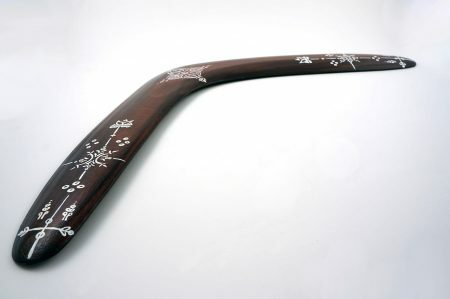 This boomerang is 19″ (49cm) long. 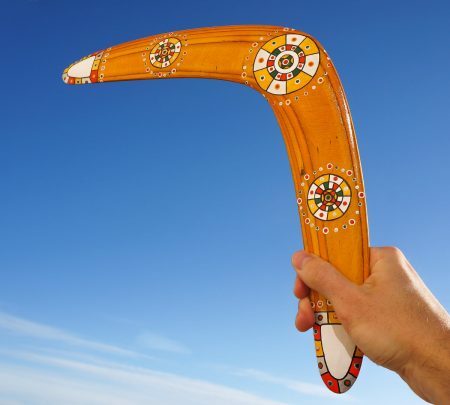 All my boomerangs are fight tested and caught before sold. Edges are sanded smoothly and polished for better aerodynamic characteristics. 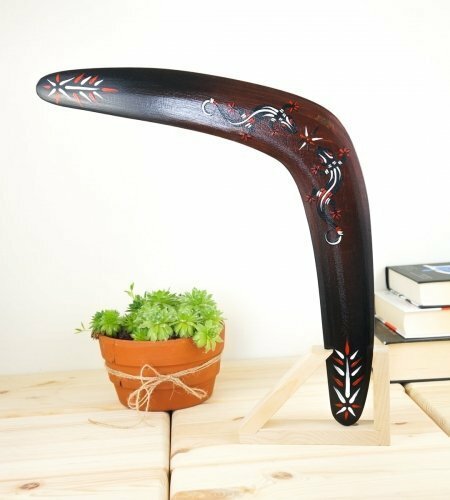 Both sides of the boomerang are protected by high quality ecofriendly lacquer. 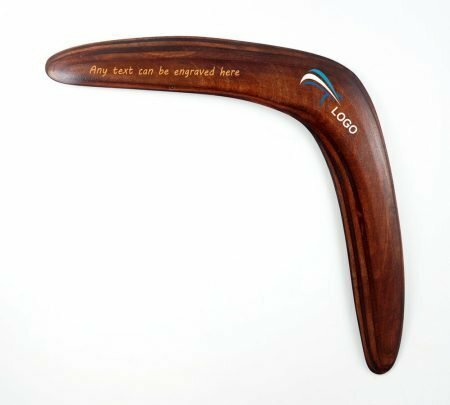 I make ALL of my wooden boomerangs out of the finest Aircraft Grade Baltic Birch Plywood available. 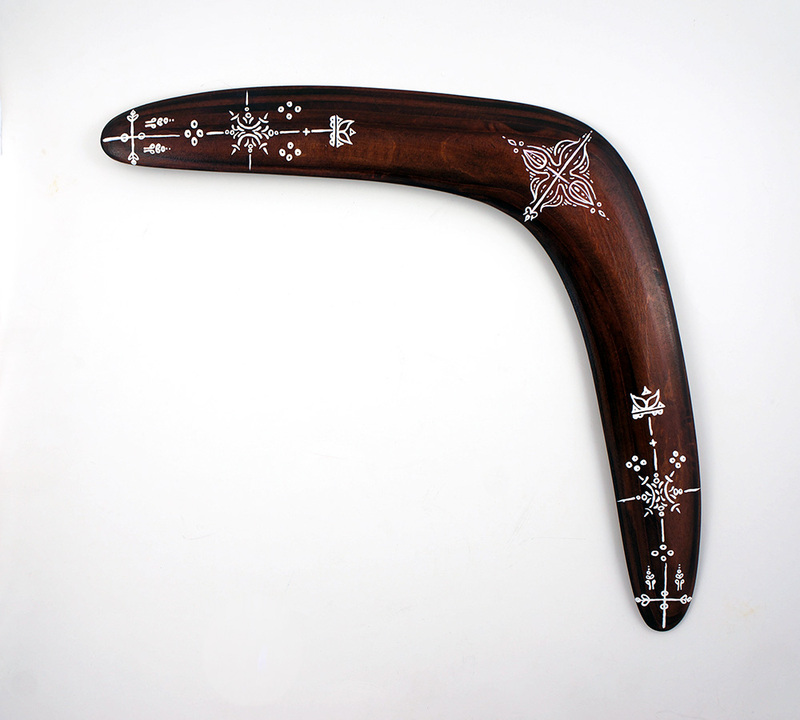 The artwork on my boomerangs is made by professional artist and done completely by hand. 69.00 USD 59.00 USD Sale!